Welcome to Flower Directory US. We're an easy to use, one stop shop for all your flower and floristry needs. From finding the best local florist in your area to picking the perfect bouquet, here at Flower Directory, we've got it covered! Our comprehensive and easy to use database of florists isn't all that's on offer. Our online resource centre has plenty of articles to help inspire you, whether its suggestions for beautiful bouquets or unique gifts, Flower Directory can help. If you're a florist then Flower Directory is a great way to advertise your business. With close to 50,000 florists listed then why not add your company to our fast growing site. Making sure you stand out is easy, advertising is free but if you want to maximise your company's impact then why not make use of our premium directory listing service (see below). What's on offer? With so many florists to choose from you're certain to find exactly the right one for your needs. Whether you want to pick out a beautiful bouquet, a perfect plant or even a sweet treat for a loved one we're guaranteed to help make your dreams a reality! With so many businesses listing their expertise there is something for every customer here on Flower Directory. Start your search today with so much on offer if it's flowers you need then there is no better place to begin your search than right here on Flower Directory US. and find a Florists near you today! Helpful articles. Not sure whether to go with white flowers on your wedding day? Will Mom prefer a plant to a bouquet this Mother's Day? Should you pick roses or tulips for your Valentine? Whatever your query here at Flower Directory we can help you make an informed choice through our extensive list of reference articles. From the history of why we use roses on Valentine's Day to what's the meaning behind those carnations and chrysanthemum's. Flower Directory helps to unravel the mystery behind the flowers we choose to send and of course give you fresh inspiration when picking out that special gift. Why not make use today of our extensive articles researched with you in mind to help make your decision a little easier. How to buy flowers online Buying Flowers Online FAQ Buying Flowers Online Buying Flowers Online and How to Care for them Flower and Gift Delivery Sending flowers of the best quality direct to the door of a loved one, friend or colleague has never been easier. With so many flower and gift delivery choices out there it can be a mine field trying to pick the best one! Drying Flowers-The Dos and Donts Drying the flowers you are sent for Mother’s Day isn’t as hard as it may seem and is a great way to cherish those special memories. Caring for Your Mother's Day Gift How to help Mom make sure her floral gifts last as long as the memories of this special day with these old wives tales... Valentine's Day Around the World Celebrated around the world, here we look at how different cultures celebrate Valentine's Day Tried and tested tips for fantastic flowers If you want to keep your flowers looking beautiful, check out these tips Magical meaning behind your wedding flowers For many it’s not just about color coordination on the big day when it comes to flowers some look more to the magical meaning behind each bud and bouquet Perfect Posies - Bridesmaids Flowers The bridal bouquet might be the jewel in crown of your wedding day but the bridesmaids bouquets help to provide the setting, here are some handy tips for perfect posies. Want to advertise? Do you wish to maximise your business and join the growing list of American florists listed on Flower Directory? Things couldn't be simpler, you can register your business for free right here and now. 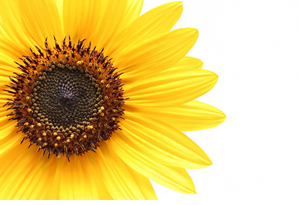 Flower Directory will help your business grow as you reach new customers across the US. It's a great way to showcase your business to thousands of new customers. Want to make the most of your company? Then why not join Flower Directory's premium listing service. A small one off payment is a great way to make your business stand out from the crowd and helps to maximise your online impact. Got a question? Whatever your question we are bound to have the answer to hand whether you want to buy flowers or advertise them take a look at our F.A.Q's.